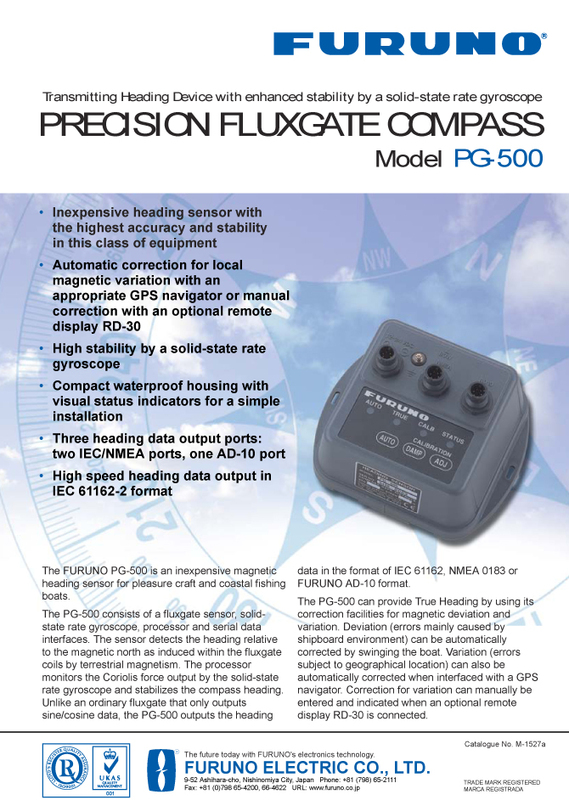 - The PG-500 is a rate compensated heading sensor that incorporates innovative electromagnetic compass technology for highly accurate and stable readouts of your ship's heading. 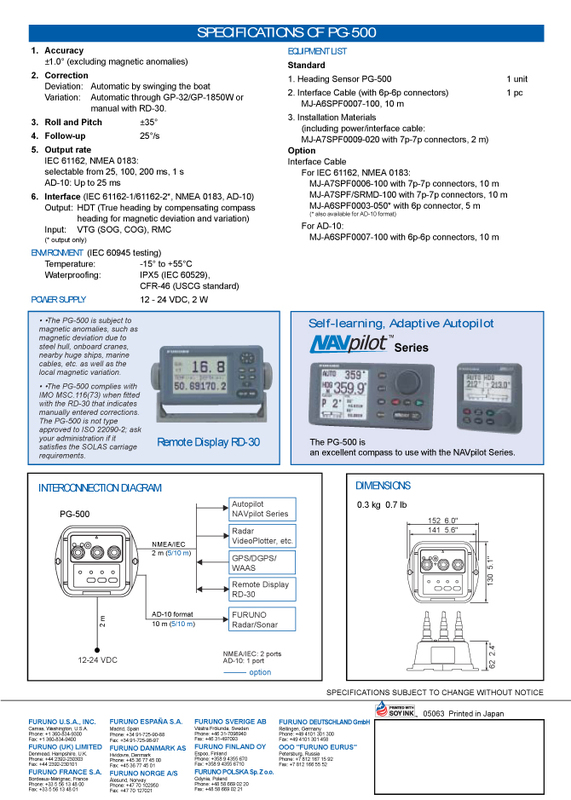 - These sophisticated components are contained within a rugged, compact case. 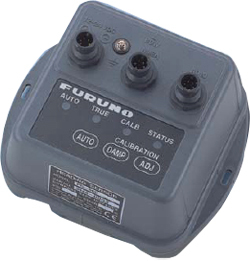 - Unique design elements make the PG-500 virtually maintenance-free and easy to install. Copyright©2013 CSM & DSC All Rights Reserved.